For much of the early Middle Ages, Jews living in western Europe enjoyed peace and prosperity. However, by the late Middle Ages, western European Jews faced competition from the growing numbers of Christian burghers living in cities. At the same time, Christian passion plays depicted Jews as the killers of Jesus, which incited many Christians to attack their Jewish neighbors. Large numbers of Jews migrated to eastern Europe in the late Middle Ages after facing anti-Semitism and expulsion from many areas of western Europe. Jewish immigrants settled predominantly in and around Poland. Initially prosperous, these settlers eventually fell victim yet again to anti-Semitism, as they found themselves blamed for everything from the crucifixion of Jesus to the Black Death. The Pale of Settlement was first created by Empress Catherine the Great of Russia in 1791 as an alternative to the impossible task of removing all Jews from areas under Russian control. Only those areas within the Pale of Settlement, which constituted about 20% of European Russia, were available for Jewish settlement. In Yiddish, the language spoken by the Jews of eastern Europe, the places where they lived were known as dorfs (small villages), shtetls (villages), and shtots (towns). The Pale of Settlement came to include shtetls, shtots, and dorfs gained by Russia through the partitions of Poland that took place in 1772, 1793, and 1795. Creation of the Pale of Settlement did nothing to curb anti-Semitism in eastern Europe. By the early 1800s, pogroms--attacks on Jews--were carried out throughout the region. These pogroms encouraged many Jews to emigrate from eastern Europe (as popularized in "Fiddler on the Roof"), with many Jewish families settling in the United States. Pogroms also led to the formation of the Zionist movement, which called for the creation of a Jewish state in Israel-Palestine where Jews would finally be free from anti-Semitic pogroms and other forms of persecution. The Russian Revolution of 1917, along with the remaking of the map of Europe following World War I, ended the Pale of Settlement. Anti-Semitism in Europe was, however, not finished. The final blow to European Jews came with the Holocaust of World War II, initiated by the Nazis of Germany under Adolf Hitler. An estimated 6,000,000 European Jews died during the Holocaust. 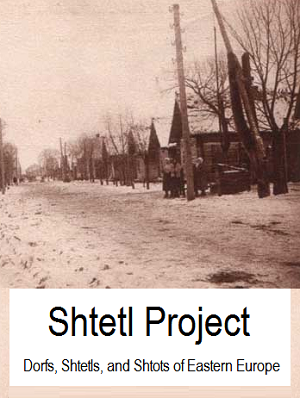 The purpose of the shtetl project is to examine the history of Jews in eastern Europe. By researching individual dorfs, shtetls, and shtots, students will better understand and appreciate the contributions of Jews to eastern European culture and history, as well as the demographics of their near-elimination from the population over the course of approximately 150 years (circa 1800-1950). 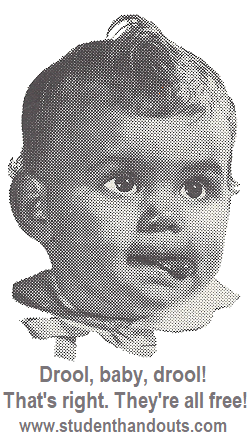 Each student, or group of students, is assigned the name of a shtetl in eastern Europe. Using the internet and other available sources, students will chart their location's population (and depopulation) over several time periods: (a) before 1791, (b) 1920 (following the Russian Revolution and World War I), and (c) 1945 (after the Holocaust of World War II). Students will publish their findings on a poster, web page, or tri-fold board, complete with a write-up of their shtetl's history. They may also include photographs and copies of documents discovered during their research. Population information should be presented using charts and maps. Many of the shtetls that students will research have no Jews living in them today. Furthermore, many of the countries of eastern Europe, because of their active role in the Holocaust, are not particularly interested in publishing population figures or addressing this part of their history. Therefore, students may encounter difficulties finding official information, and may be forced to rely on Wikipedia for many of their stats. Instead of treating this as a handicap, use it to illustrate the complicated feelings of today's eastern Europeans regarding their historical role in the near-eradication of their Jewish populations. It is entirely possible that, in the course of their research, your students may come across a synagogue or local community group comprised of descendants of emigrants from the shtetls they are researching. This is a great opportunity for hands-on learning via interviews. Students can incorporate their interviews into their projects. Links to helpful resources on other websites: American Society for Yad Vashem, An Eternal Light: Brody, in Memoriam, Brody Is No More, Galician (Eastern European) Jews, Heroes of the Holocaust: The Courageous Fighters against Hitler's Nazi Regime, Holocaust in Poland, Holocaust Survivors ניצולי השואה, Radautz (Radevits, Romania) Jewish Heritage.